Former FLYLEAF singer and current Christian rock solo artist Lacey Sturm is filling in for SKILLET drummer and female vocalist Jen Ledger on five dates during the latter band's tour with BREAKING BENJAMIN. Lacey is not playing drums at these shows, but is lending her vocals to the group in Jen's absence. 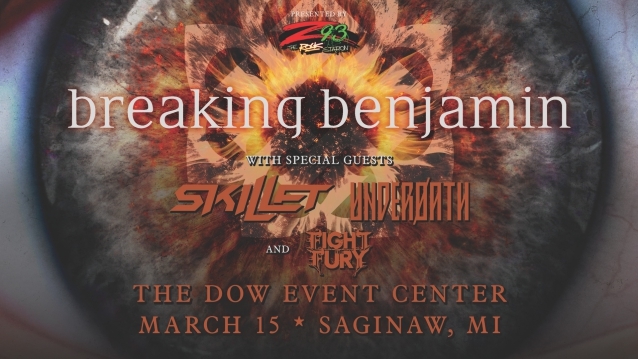 Video footage of Sturm's first concert with SKILLET, which took place last night (Friday, March 15) at Dow Event Center in Saginaw, Michigan, can be seen below. Ledger is forced to miss the SKILLET concerts because they overlap with the "Winter Jam Tour Spectacular", on which Ledger is a featured artist this year. This isn't the first time Sturm has collaborated with SKILLET. She sang on the group's recent single "Breaking Free", which appeared on the deluxe version of SKILLET's latest album, "Unleashed Beyond". 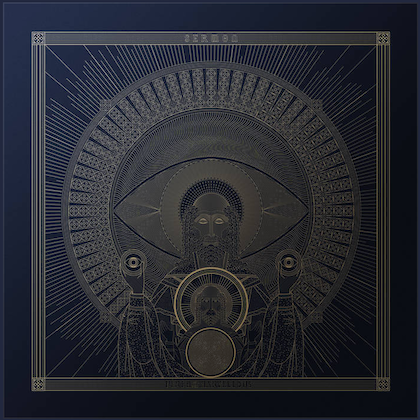 Ledger released her first solo EP, titled "Ledger", in April 2018 through Hear It Loud, a label imprint launched by SKILLET frontman John Cooper and his wife, SKILLET keyboardist Korey Cooper. Jen told Audio Ink Radio about her debut solo EP: "It was six years ago when I felt drawn to write my own songs and start expressing myself that way, and I've kind of been under an apprenticeship with the Coopers. They've really taken me under their wings and have been training me and teaching me how to write, so it's been a six-year journey now. It's been such a journey, because to start, I can't believe I've gotten to play drums in a band for 10 years."